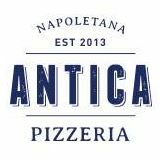 We ventured out for a birthday at the newly opened pizzeria on King William Road in Hyde Park called Antica Pizzeria. This new pizzeria opened their doors for the first time just after Christmas, so it had only been operating for a week. 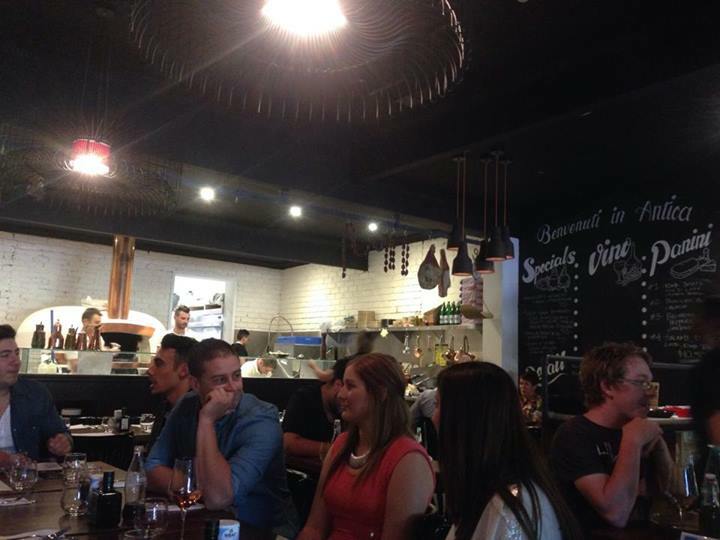 This venue is set amongst the bubbling King William Road strip amongst boutique fashion outlets. The interior has been worked with some of the existing elements of the building to emphasise the building’s quirks rather than trying to disguise them. We came with a big group of 16 people, which managed to just fit into the venue. The staff were very welcoming on arrival. We were told that we could each order at the counter and pay separately and that the meals would come out at the same time once everyone had ordered. This was much appreciated by all, as usually with a large group it can cause issues with paying one bill at the end. I do not think this is normal practise for the business, it was a once off due to the large group. 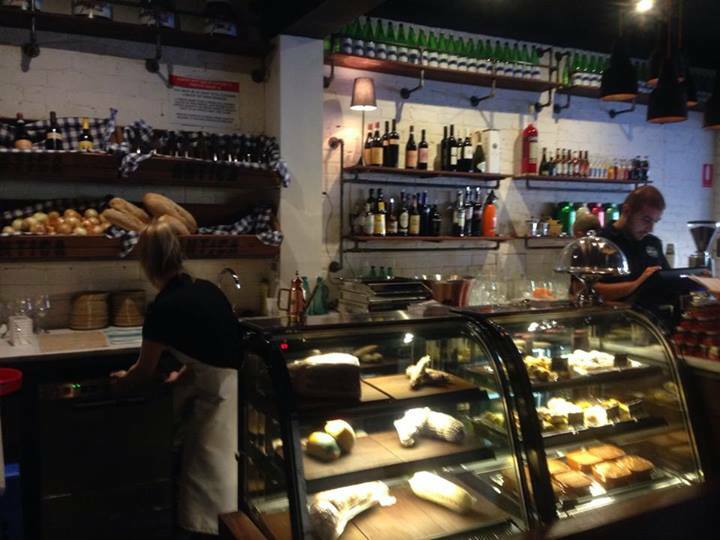 This venue is all about its wood-fired oven where most of their meals are cooked. 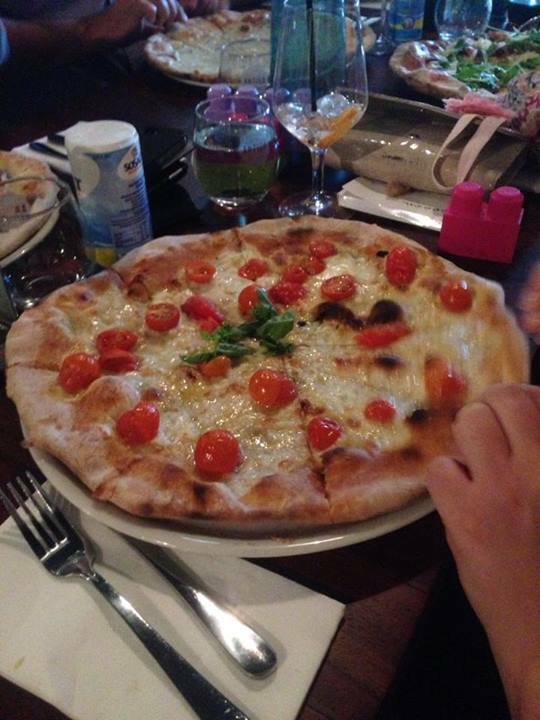 There are a range of traditional pizzas along with modern twists to choose from. I had the Saliccese (pork sausage) with a bianco (white) base with caramelised onions (no picture taken). When pizzas are made the traditional way, you usually don’t get a balance of toppings and this can affect the flavour. Unfortunately, this happened to me, as there were not enough caramelised onions to balance the flavours. But that’s the hit and miss of wood-oven pizzas. 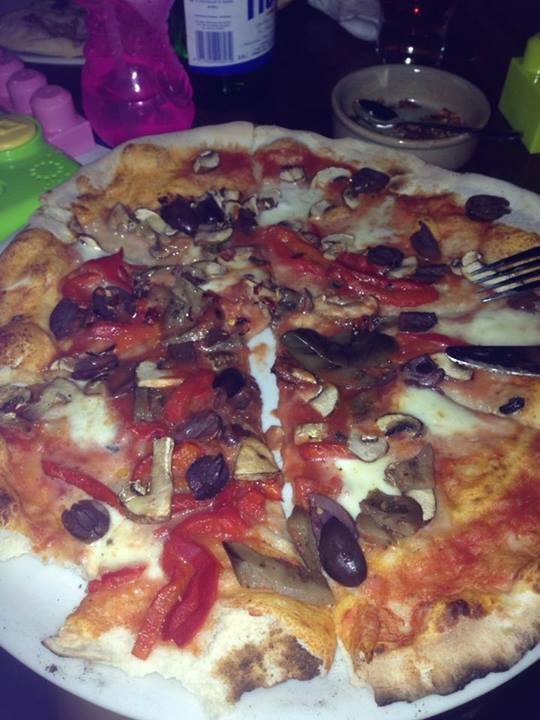 Though despite this, Bianca’s Vegetarian pizza was just perfect. Hands down, this pizzeria has the best dessert pizza I have ever tasted, with the Calzone Nutella. The folded pizza was filled with Nutella and drizzled on top with Nutella also, and served with icecream. 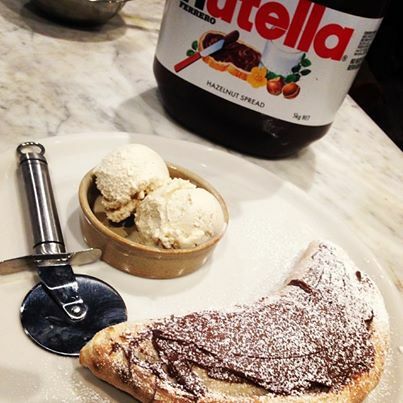 If you are thinking about just a coffee and dessert, then look no further than the Calzone Nutella! The atmosphere of this venue was vibrant and the fit out was exceptional that this is a place that you will regularly visit and enjoy.